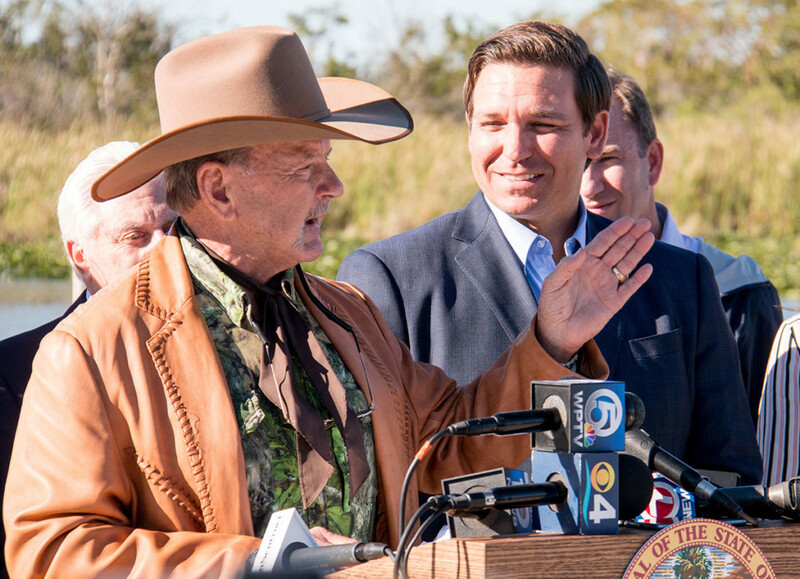 Fort Lauderdale, Florida – January 29, 2019 – “Alligator” Ron Bergeron, the Everglades conservationist whose family has called Florida home for eight generations, was named today by Gov. Ron DeSantis to the South Florida Water Management District. Once confirmed as a commissioner, Bergeron will help the governmental agency oversee water resources and Everglades restoration for a 16-county region and 8.1 million people from Orlando to the Florida Keys. Bergeron will serve as the district’s point commissioner on Everglades restoration. He also will serve on the South Florida Ecosystem Restoration Task Force. Established by the Water Resources Development Act of 1996, the Task Force consists of 14 members from federal, state, local, and tribal entities. During his campaign for governor, DeSantis spent so many hours at Bergeron’s office discussing the Florida environment that “you needed a traffic light to get him in and out,” Bergeron joked. Bergeron shared his five decades as an engineering contractor to discuss sheet flow conveyance, hydrology, costs, benefits and value engineering of Everglades Restoration.